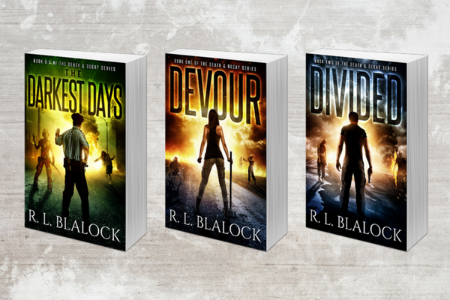 Sign up and get notified when R. L. Blalock releases a new book. You'll receive emails with updates, contests, new releases, and other interesting tidbits. As a bonus, you'll get a free copy of Defenseless: A Story of Death & Decay in your first email. Thank you for signing up! You'll receive your next email when the next book releases.